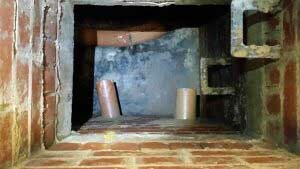 Emergency Blocked Drain Leeds West Yorkshire | Powerclean Ltd.
Powerclean are trusted, local delivery experts in the drain inspection, maintenance and repair industry. With over 30 years of experience, Powerclean Environmental Services are one of the longest established drainage companies in the North. 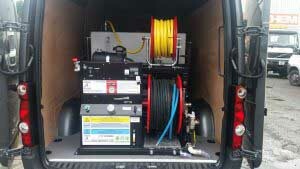 We specialise in the maintaining and unblocking drains, flushing or repairing damaged pipe work. Our experts can help. Satisfying thousands of customers from builders, architects, food and drink manufacturers, schools, and householders in the Leeds and Bradford area. Powerclean can help service your gutters and drains with carefully planned maintenance, tailored to your specific needs, whatever your budget. IPAF trained staff for safety at height with MEWPs, confined space certified, using state of the art equipment, regular CCTV inspections and routine maintenance we can help keep your system disaster free. We are committed to deliver the highest level of health & safety & customer service.. If you have a problem with blocked drains, blocked toilets, grease traps, interceptors, gutters, require CCTV surveys or to discuss pre-planned maintenance, contact one of our advisors today, 01138875710.